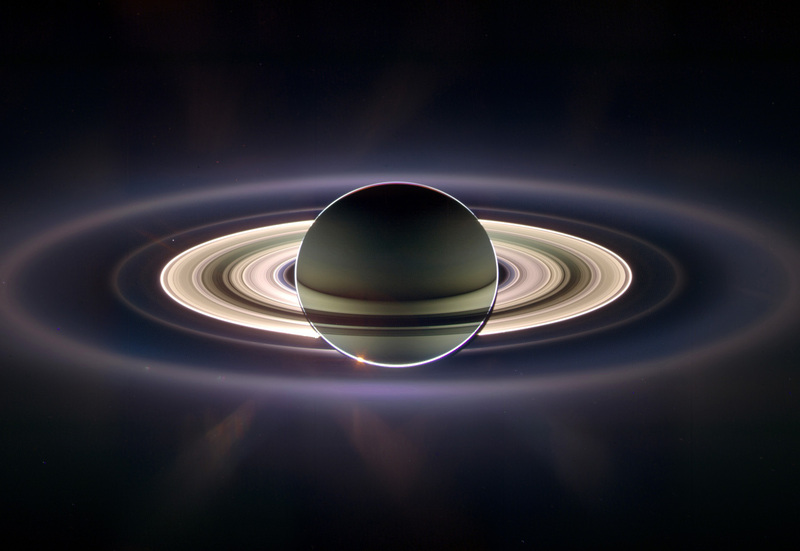 …because Cassini will be watching — and taking pictures! In three weeks, on Friday, July 19, the Cassini spacecraft will be taking pictures from orbit around Saturn, capturing the ringed planet in eclipse against the Sun. This will not only provide fantastic views of the planet’s rings and atmosphere, but will also include another treat: our planet Earth, visible as a small blue dot in the distance! Cassini has acquired similar views of Saturn a couple of times before — the last time in September 2006 — but this will be the first time the human population has been duly notified well beforehand. 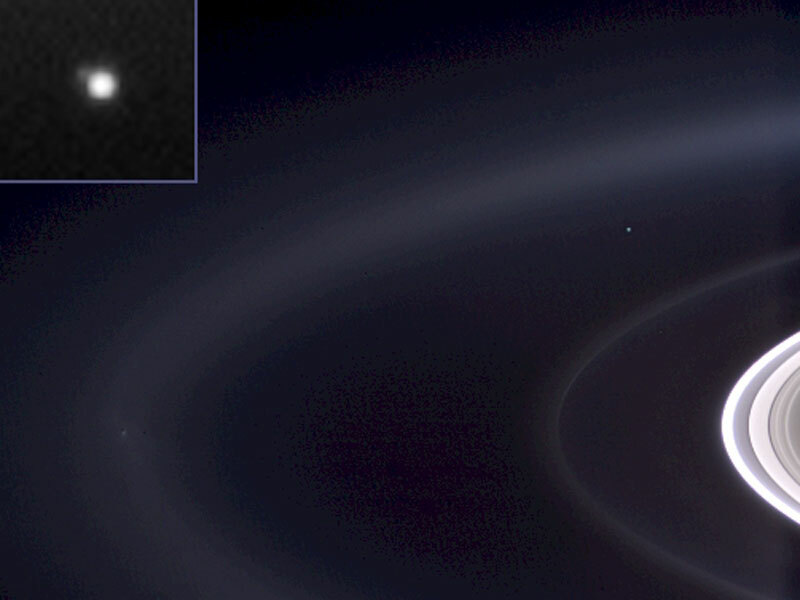 Porco was involved in co-initiating and executing the famous “Pale Blue Dot” image of Earth taken by NASA’s Voyager 1 from beyond the orbit of Neptune in 1990. “It will be a day for all the world to celebrate,” she said. Cassini will start obtaining the Earth part of the mosaic at 2:27 p.m. PDT* (5:27 p.m. EDT or 21:27 UTC) and end about 15 minutes later, all while Saturn is eclipsing the sun from Cassini’s point of view. The spacecraft’s unique vantage point in Saturn’s shadow will provide a special scientific opportunity to look at the planet’s rings. At the time of the photo, North America and part of the Atlantic Ocean will be in sunlight. Unlike two previous Cassini eclipse mosaics of the Saturn system in 2006, which captured Earth, and another in 2012, the July 19 image will be the first to capture the Saturn system with Earth in natural color, as human eyes would see it. It also will be the first to capture Earth and its moon with Cassini’s highest-resolution camera. The probe’s position will allow it to turn its cameras in the direction of the sun, where Earth will be, without damaging the spacecraft’s sensitive detectors. So on July 19, be sure to give a nice big smile and take a moment to wave up at Cassini, orbiting Saturn nearly a billion miles away! Read more on my article on Universe Today here. P.S. Do you want to get a personalized NASA certificate (like the one below) saying that you “Waved at Saturn?” Click here. You can get a printable certificate saying that you waved! *Ok, technically the time that Cassini will be acquiring images is different than the actual “waving” time. This is due to the length of time it takes for light to actually travel from Earth to Saturn and thus into Cassini’s cameras. So to make sure Cassini doesn’t catch us all with our eyes closed, mission engineers did the math. Our Earth will be in the picture taken from Saturn. It will show how small and unimportant we are in the broad universe. But also that we have the amazing capability to capture such a view, which is anything but small or unimportant! Thank you for the info. I’ll look forward to July 19th. That will really be something!